Does your dental practice and laboratory place value on hygienic, yet appealing, men's and women's clothing? In this category, we have gathered a wide range of high-quality trousers, tunics, gowns and shoes, as well as towels and covers. Fashionable tunics, chic gowns or sporty trousers - in this category we present a wide selection of fashionable dental clothing for ladies. From comfortable clogs to trendy trainers and sporty lace-up shoes, we offer comfortable shoes by well-known brands such as Abeba, Birkenstock and AWC. Order high quality textiles for dental surgery, such as fluffy hand towels, absorbent dry hand towels or soft patient covers, conveniently online at Praxisdienst-DENTAL. 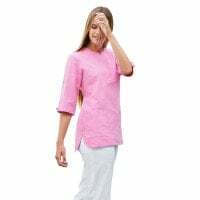 In this category, we have put together a nice collection of modern medical clothing for dental practices, such as high-quality pants and tunics, gowns, comfortable shoes or even towels and overlays. For the ladies in the surgery, we provide many purpose designed, yet stylishly cut gowns, tunics and pants. Unlike before, these scrubs have modern details and fresh colours. 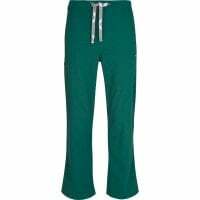 The medical trousers are also fashionably cut, some as jeans and others that are more elastic. Of course, the Clothing & Textiles category also contains stylish shirts, vests and blouses. Our supply of ladies' clothes comes in a comprehensive range of sizes and beautiful colours. For the dentist or dental technician, we have collected a range of comfortable and purpose-designed trousers and tunics. For the men with fashion sense, we also have chic shirts, polos, dress shirts and sweaters with various material compositions and cuts. 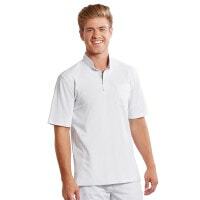 Dentist clothing can also be purchased in a wide array of sizes and colours. Further down in this category, you will find ladies' and men's shoes in a comprehensive size and model selection. 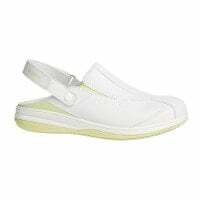 The high-quality, stylish and comfortable doctor's shoes, surgical clogs, sandals and slippers are all from name brand manufacturers, such as ABEBA, AWC and Oxypas. 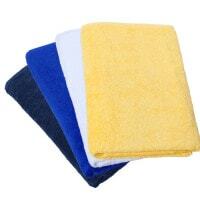 Additionally, we also supply you with easy wash and absorbent towels in various sizes and colours, as well as soft patient overlays made from various materials; of course, all at great prices. Conveniently purchase affordable, high-quality and stylish clothing for use by dentists, hygienists and all dental staff at Praxisdienst-DENTAL.